Hi everyone! It's been a while since I did any sort of home decor post, and I'm itching to re-do my bedroom. I've had the same dresser for 22 years now (and surprisingly, it's still intact), but it's definitely too small for my needs and quite dated looking. I've been all over Pinterest in the last few months, attempting to come up with a mood board of sorts so when I'm (financially) ready to update my space, I'll know exactly when I'm looking for. 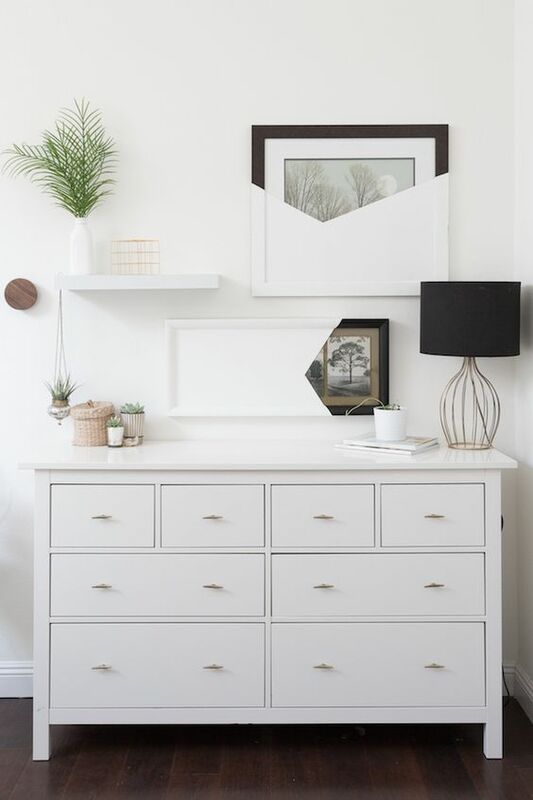 I've love to hear your suggestions for storage solutions for small spaces! The idea: I have a super small bedroom (and I know there are people who have much smaller spaces than I do, but seeing as I live at home, my bedroom needs to function as a bedroom, living room and office, all in one. So 10' X 11' isn't the greatest space to work with). 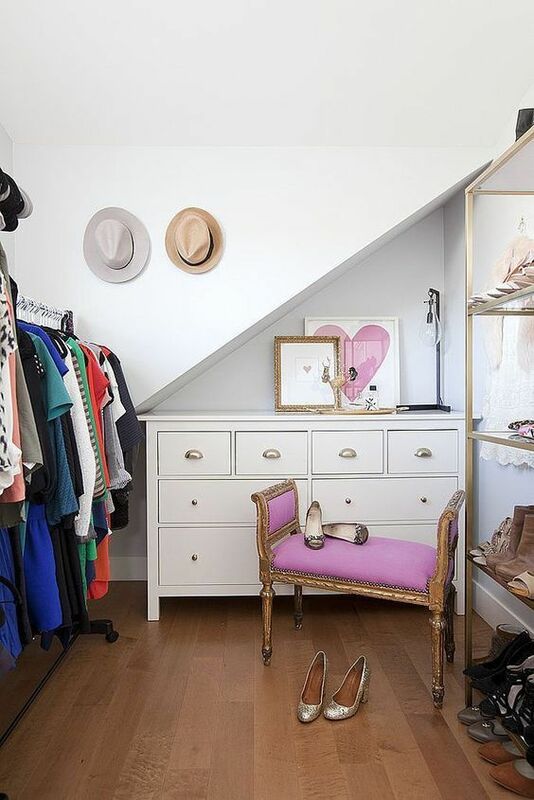 While I'd love to find a vintage armoire and use that to store my clothes, unfortunately, everything I find is either too short or (way) too expensive. My main concern right now is finding storage solutions for my sweaters and pants. My closet is less than 4 ft wide, so traditional closet organizers won't fit and I don't want to pay for custom. Aside from bins under my bed, I don't really have any place to store my sweaters, and living in Canada, I have quite a few of them! 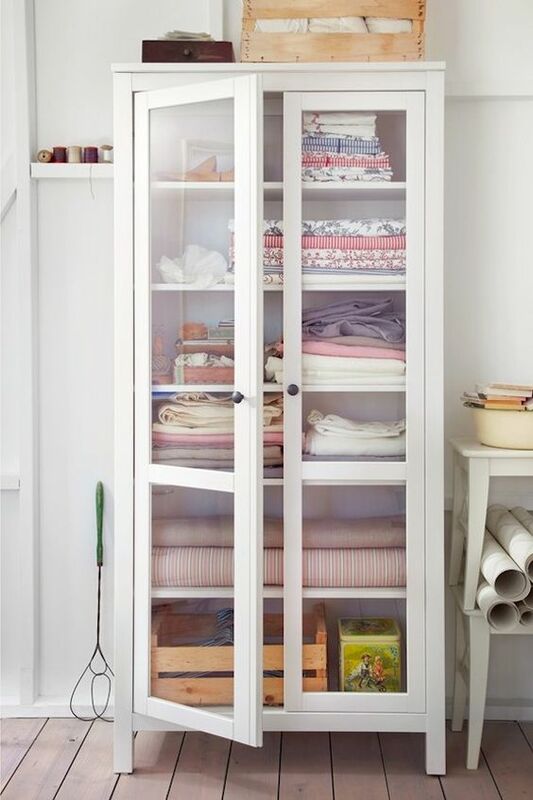 What I'm thinking of is getting the Ikea Hemnes cabinet, so that all my sweaters are visible on the top (colour coordinated, obviously), and I'd have room underneath for pyjamas, undies and t-shirts. 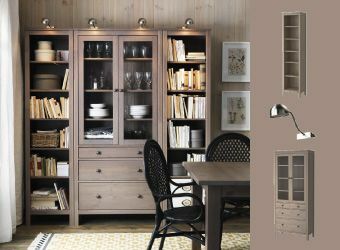 I could either do two of these, side by side for lots of storage or add the thinner cabinets or bookcases on either side (pictured below) to store my ever-growing pile of books. 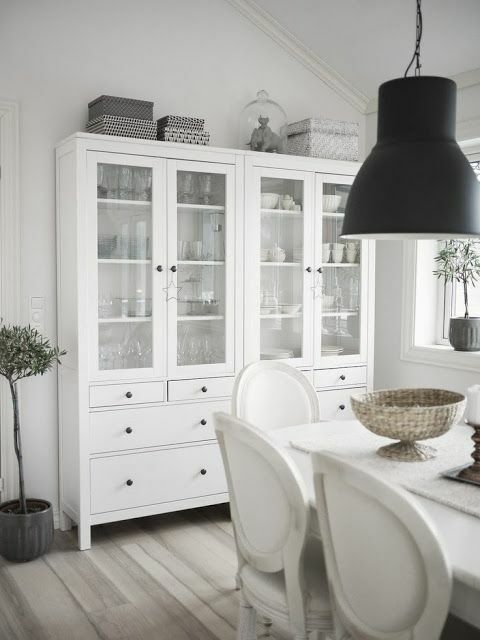 Conversely, because I keep on TV and jewellery on my current dresser, I was thinking of adding something like the Hemnes dresser beside the standing cabinet to have the surface area (but annoying, they are different depths). I'd love to hear your storage solutions for small spaces and sweater storage!